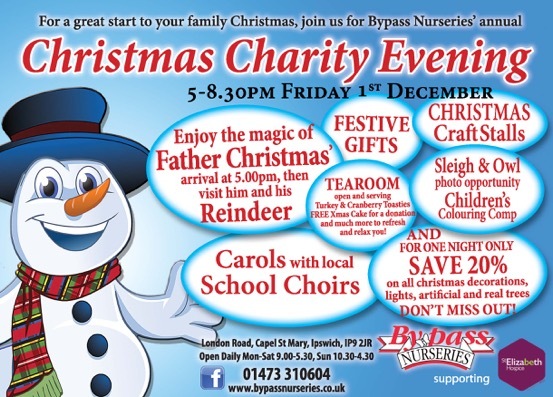 On Friday 1st December, 5-8.30pm, Bypass Nurseries in Capel St Mary are hosting their annual Christmas charity evening in aid of St. Elizabeth Hospice. 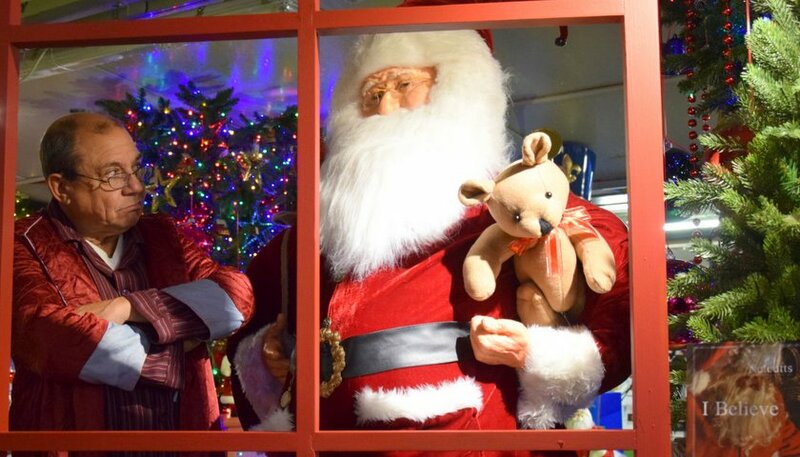 See Father Christmas and his reindeer, Carols with local school choirs, Christmas craft stalls, festive gifts and much more! 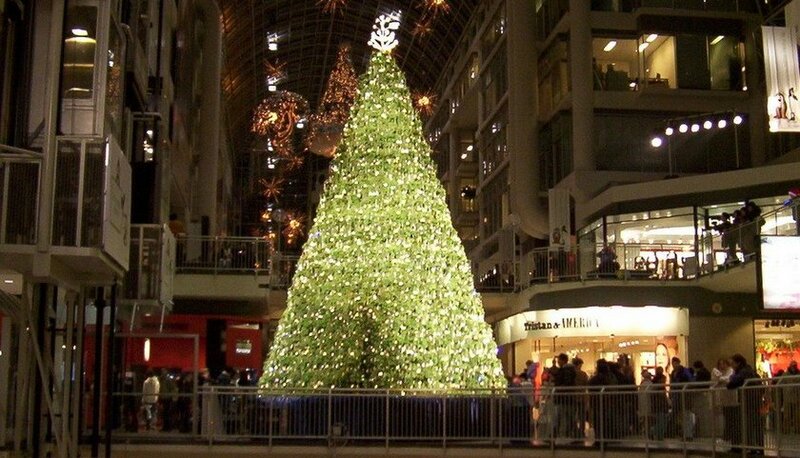 All for one night only, save 20% on all Christmas decorations, lights, artificial and real trees. DON’T MISS OUT on this great family-friendly event! For more information visit www.bypassnurseries.co.uk.